The modern angler, with a wide array of tools at ready disposal, seems a far cry from early man perched at the side of a stream with spear in hand, and an even further cry from the bobcats, bull snakes, owls, and hawks that stalk their prey in the natural world around them. But all predators have one thing in common: they must abide by the laws of survival, ensuring that the amount of energy they expend in catching their prey doesn't outweigh the gain. 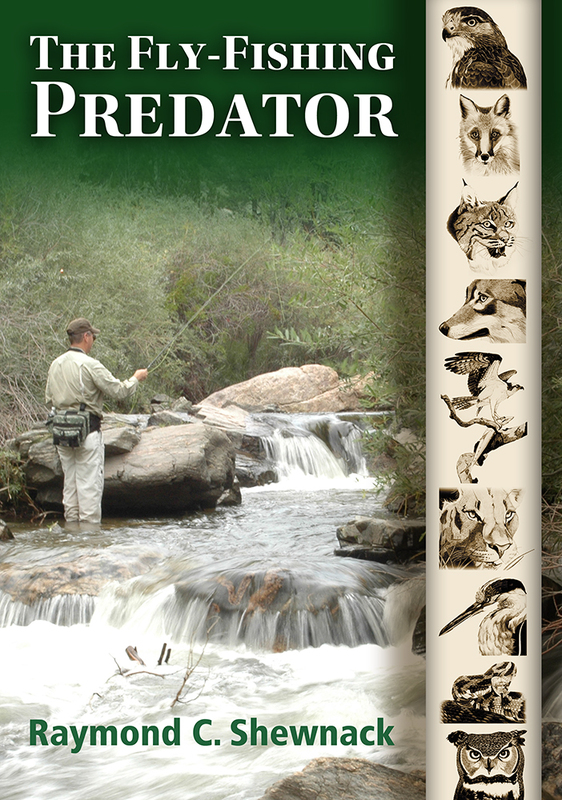 In this illustrated how-to guide, Raymond Shewnack invites fishermen to hone their hunting skills, sharpen their senses, and shift their perspective from that of an angler to that of a fly-fishing predator. Whether you measure success by the challenge of the size or the number of the fish you catch, Shewnack illustrates how you can improve your fishing experience by applying predator skills. Shewnack begins by examining the tools of the trade, identifying what, out of a seemingly endless selection of rods, reels, lines, and flies, will make angling easier and more efficient. He then addresses skills such as casting, the ability to read the water, choosing a fly, and hooking and landing techniques that are necessary for successful fly-fishing. A little time spent practicing the skills learned here will improve your effectiveness and productivity the next time you're in the water. Raymond C. Shewnack is the retired CEO of Wright Edge Advertising in Albuquerque, New Mexico. He has been fishing the streams and rivers of New Mexico for over fifty years.